Cover pencils by Curt Swan, inks by George Klein. "The Mighty Annihilator! 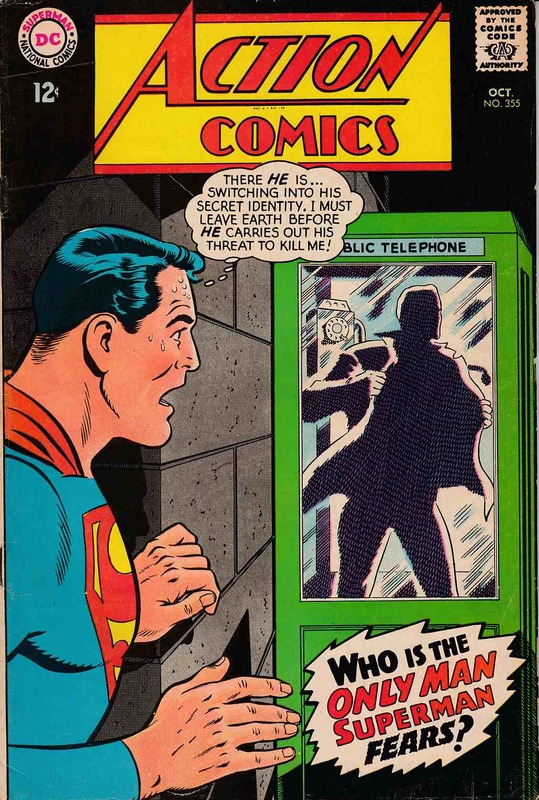 ", script by Leo Dorfman, art by Wayne Boring; Karl Keller, a scientist in an Iron Curtain country, has been held in a prison camp for years when he discovers a cache of Kryptonian chemicals that were shot into space because they were too dangerous; He experiments with them and then uses them to gain super-powers, traveling to Metropolis to challenge Superman. "The Death of Luthor! ", script by Jerry Siegel, pencils by Jim Mooney and Curt Swan (Luthor's head, page 4, panel 4), inks by Jim Mooney and George Klein (Luthor's head, page 4, panel 4); Luthor is accidentally killed during a battle with Supergirl, and she travels to Atlantis and into outer space to find a way to restore him to life.